Sorry for not getting back to you sooner. I'm glad that you have popped up a piece on LEDs on your blog. However, there is just one point that needs to be clarified. 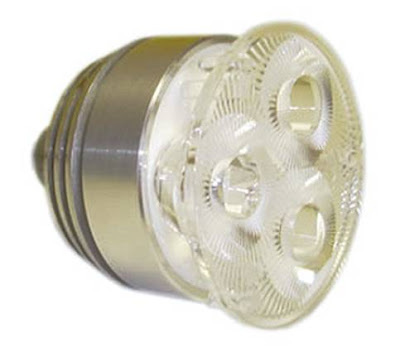 Tony - Cree don't produce heatsinks or finished LED Bulbs, they only produce the led modules!!. This fact may cause some confusion with people reading the article, as the main crux of the LED is indeed its heatsink. Think of the Cree LED module as a good BMW engine. We make good BMW car bodies for it and the end product is a good BMW complete car. The Chinese and several other UK and Euroupean manufacturers use poorly designed and cheaper car bodies "Heatsinks" and what you end up with is a "Lada" !!! I just dont want people to be ripped off just because they decide to go with a Cree product. We stand by Cree 110% but its what you do with their LED's that really makes the differance !! Thanks for clarifying that point Liam. Ed.